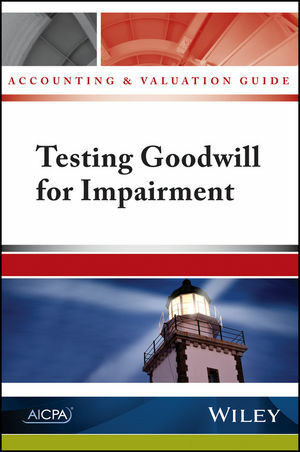 This new guide provides accounting and valuation guidance for impairment testing of goodwill. Specifically, it focuses on practice issues related to the qualitative assessment and the first step of the two-step test. This resource is a valuable tool for auditors, accountants and valuation specialists seeking an advanced understanding of the accounting, valuation, and disclosures related to goodwill impairment testing (including the qualitative assessment). It is also a vital resource for preparers of financial statements of public and private companies that follow FASB guidance on goodwill.